We’ve previously covered some of the reasons why habitual email nonresponders become that way, and provided you with tips for re-engagement. But what do you do when you want to drive more opens and clicks for a single email and are short on time? The answer, of course, is to schedule a follow-up nonresponder email. Nonresponder emails are great for promotional content like sales, events and fundraisers that have a specific goal and/or expiration date – whether it’s redeeming a specific coupon, registering for an event, or donating to a current fundraising campaign. In previous buy one, get one free promotions to our customer base, we’ve seen as much as a 40 percent lift in our overall open rates by sending a nonresponder email to subscribers who didn’t open the original email. The first order of business is to segment out subscribers that didn’t open your email the first time around and create a new list of nonresponders. 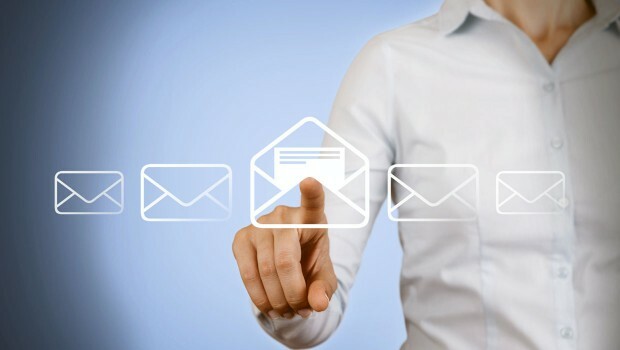 VerticalResponse and most Email Service Providers (ESPs) include this feature. Once you have your list of nonresponders there are two quick changes you can make to your original email to try to get more people to open your follow-up. Determining the best time to schedule your email takes some trial and error. Notice I said scheduling, and not sending? We know you likely wear a million hats, but if you’ve fallen into the bad habit (and we’re all guilty) of procrastinating on your email and sending it at the last possible second, it might be time to try scheduling in advance. If you sent the first email early in the morning, try sending the nonresponder email later in the day. You can look at your reporting for when the majority of your opens and clicks happened to provide some data to work from. Also, if your first email went out on Monday, try a different day of the week and don’t be shy about testing on weekends, either. We could dedicate an entire post to timing (and we have), but for now, keep the scheduling time of your nonresponder email in mind as a way to make it stand out in the inbox. Aside from timing; the other quick and easy way to make nonresponders notice your follow-up email is to change the subject line. If you don’t have an enticing subject line, it doesn’t matter what your email content looks like if nobody opens it. One way is make your subject line emotionally responsive. If your campaign or promo has an expiration date, try adding time-sensitive wording to your nonresponder subject line such as “hurry,” ending soon,” last chance,” etc. For more help with subject lines, read our six tips for creating compelling subject lines. Using these three tips can help you re-engage nonresponders and get them opening and clicking your emails leading to better results.